Who's afraid of a little brett in their beer? As a wine person, I've always been taught that the presence of brettanomyces is a flaw, as the yeast releases aromas and flavors politely described as "barnyard," "leather" and "sweat." The development of "brett," as it's known colloquially in the industry, occurs naturally in cellars and in wines. Some winemakers painstakingly try to get rid of it, while other winemakers embrace it. Some wine drinkers hate it, and others love it; everyone has different tolerance thresholds. (I myself don't mind a whiff of brett.) But either way, in wine, brett is an uninvited phenomenon. I was surprised to learn that brett is also found in beer—and that some brewers intentionally add this yeast to their brews. Brett will eat certain sugars that other yeast may leave behind. 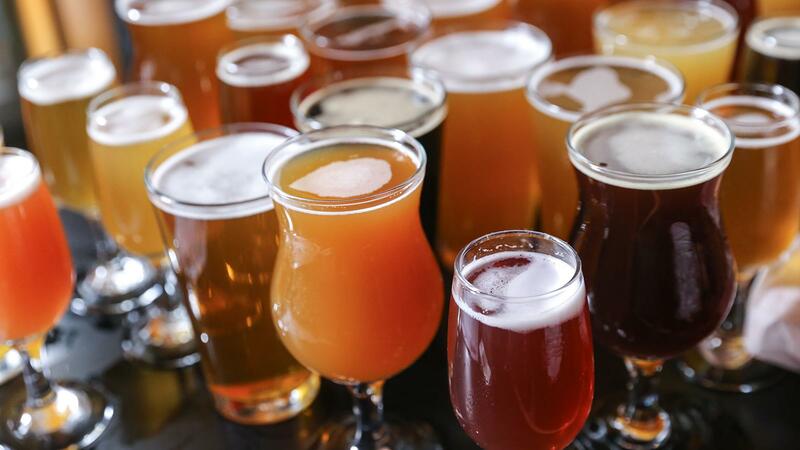 It's typically used for making sour beer, complementing the lactic acid–producing bacteria that defines this style, but can also be used as a simple replacement for saccharomyces, the most commonly used yeast to ferment beer. Why on earth would one want to do that, you may ask? "I'm really sensitive to how people talk about brett," said Chad Yakobson, owner of Crooked Stave, a Colorado brewery that makes brett-fermented beer. "It would always be [that] the off-flavors were mentioned, and part of my crusade is to talk about the positives." When we talk about brett in the context of wine, we talk about it as if it were one (funky-smelling) entity. But there are actually different species, and hundreds of strains, of brettanomyces, which all impart different flavors to the final product. Matt Pennisi of Durty Bull in North Carolina, who uses brett too, laid it out for me: Brettanomyces bruxellensis imparts peachy flavors, Brett claussennii leads to pineapple, Brett lambicus has more cherry and apple pie … My eyes widened: Cherry pie from brett? Yakobson, who studied viticulture and enology before switching to beer, explained that brett reacts differently depending on the raw materials it interacts with. Grape skins have different characteristics than malt and hops; their anthocyanins don't mix well with brett, and while the plant material in beer also contains some of these pigments, they are easier to control and limit during the brewing process. Yakobson looks for citrus and tropical fruit flavors in his bretty beers, which include the Wild Wild Brett and Nightmare on Brett series, L'Brett d'Or sour ale, a saison called Surette, and many more. Many breweries, like Crooked Stave, have "house strains" of brett that they've cultured themselves and keep in yeast banks. Inoculation with brett can be done in two different ways, either during primary fermentation as the sole-fermenting yeast or in combination with saccharomyces, or during secondary fermentation. But brett wasn't always domesticated. Centuries ago, the wild yeast made its way accidentally into the cellars of Belgian brewers, contributing to the character of lambic and gueuze styles. After brewers discovered what the yeast was and learned how to work with it, the use of brett became more intentional. Today, you can get these bretty styles from Belgian breweries like Orval and Cantillon. Brett has become a trend in the U.S. craft beer scene. For wine lovers interested in getting a new perspective on brett through beer, Crooked Stave is the most renowned for this style, but other noteworthy breweries that dabble in it include The Bruery in California, Maine's Allagash with its Golden Brett ale, Westbrook in South Carolina with its Brett Rye IPA, and the cult Stillwater Artisanal and Evil Twin breweries.